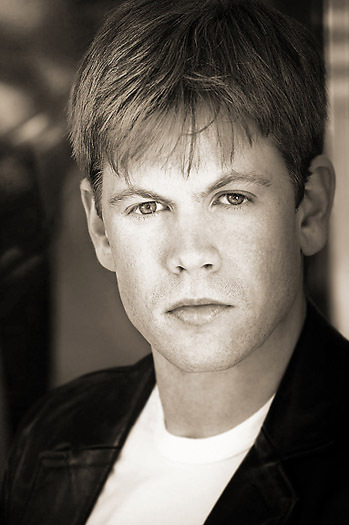 Christopher Rice is the New York Times bestselling author of six novels. Christopher has also written Coastal Disturbances for The Advocate and now hosts The Dinner Party Show. 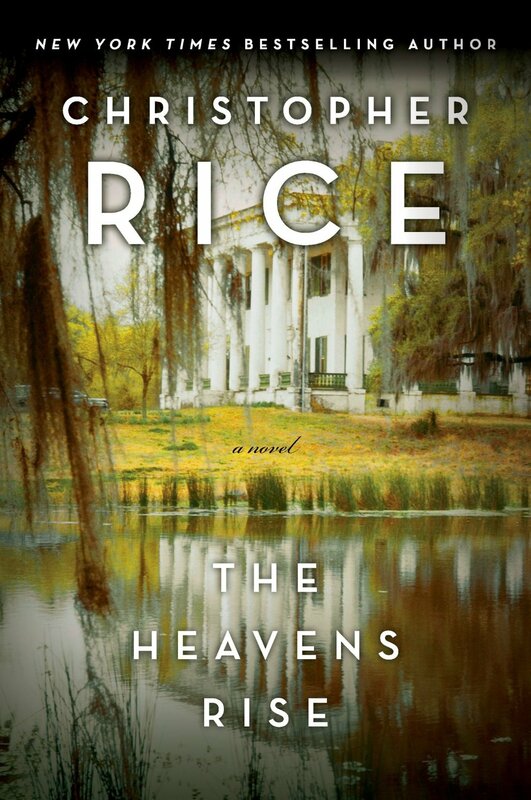 His upcoming thriller The Heavens Rise, which takes readers to the bayous of Louisiana where three friends face an ancient evil in the form of a parasite, is due out October 15. What was your childhood like? What are some of your most fond memories from that time? My childhood was divided in two by my mother’s success. We lived in San Francisco until I was ten years old, and then, after The Vampire Lestat was such a big hit, we could live pretty much anywhere we wanted and Mom decided it was time for a homecoming. I missed San Francisco very much during the first few years after the move. We lived in the Castro and it was the 1980’s so there was the shadow of illness across the community, but I still have wonderful memories of walking from our grey Victorian on the corner of 17th and Noe to see movies at the Castro Theater. We would always sit in the front row and when the organist would rise up out of the pit to play the overture before each film, everything would seem magical and perfect for a moment. The first few years in New Orleans were very challenging for me. I didn’t fit in. I was a wacky skater-adjacent kind of kid with a rat tail and big baggy T-shits with crazy horror movie imagery on them. But today I consider New Orleans to be my true hometown because most of the real life lessons, most of the real development, happened there. Do you feel privileged to have been raised in such a creative household? Absolutely. But you have to leave such a household and go out on your own to realize how privileged you truly were. What would you say are the most important things you have learned from your mother and father? Write the book you want to read. Not the book that you think will get the most attention, or the most critical acclaim, or the most literary awards. The book that you want to sit down with and get lost in. Also, as artists they were incredibly disciplined, and as parents, they were incredibly tolerant and accepting and generous. What was you very first favorite story? When I was a little boy, it was a children’s book called Star Baby about a little baby who fell out of the stars and ended up in a fisherman’s net before he was raised by the fisherman and his wife. I can still remember it’s simple, pen-drawn illustrations. Are you glad you chose writing over acting? What do you love most about the act of writing? Well, I feel like I’m acting again now that I’ve launched The Dinner Party Show with Christopher Rice & Eric Shaw Quinn, my new Internet radio show. Eric and I play various characters and over the course of our 2-hour live show, we play about 45 minutes worth of pre-recorded sketches broke up into five and ten minute segments. Eric’s sister described the show as “a fairy home companion”. But at heart, I’m a writer, and most of the work we do for the show is about writing. Are you enjoying hosting The Dinner Party Show? Can you tell our readers a little more about that? How did that first start? Eric and I have been best friends for years. I always wanted a radio show. I always thought Eric should be on the radio. When the Internet radio thing became so easy for people to do on their own, people all around me were trying new and interesting things with it. Eric had talked about doing a one-man show, Tracey Ullman style where he played all these different characters, a sort of cross-section of American life. I asked him if we would merge into this show idea I had for the two of us and we basically took it from there. It’s been alot of work. We built our own studio. We hired all our own staff, bought all of our equipment. This is an entirely independent operation which is both joyous and nerve-wracking. It’s been an incredible experience so far. We’ve had great guests like Dan Savage, Patricia Nell Warren – my mother, of course – Chaz Bono, the list goes on and on! How do you think you have evolved most as a writer since your early days? I’ve worked very hard to try to establish a distinct narrative voice for each book, even when the book is in the third-person. There’s a cadence and a syntax to my later books that just wasn’t present in the first two, as popular as they both are. And I believe you learn to do by doing. That was actually the motto of my high school in New Orleans. How did it feel when you first had a book labeled a New York Times Bestseller? I was overjoyed, but I was also very young, so the full importance of it really dawned on me over time. Coming from such a privileged background, it wasn’t clear to me yet in 2000, when A Density of Souls was first published, how hard most people have to work to get their foot in the door. Are you excited for the release of The Heavens Rise? Do you still get nervous before your works are released to the public? Why do you think Louisiana and various other Southern places make for such good story locations? Louisiana is a place where the present meets the past, and it’s not truly an American city. It’s a European-Caribbean city that feeds the rest of the country with its distinctive flavor and magic. There’s a sense of rules being suspended when you’re in Louisiana, on a lot of levels, so your story opportunities seem to increase ten-fold once you cross the state line. How did you come up with the idea of a microscopic parasite that wreaks havoc on the world for this one? Well, I reigned in a bit. It doesn’t wreak havoc on the world so much as it does the individual who is exposed to it, and the powers it gives them are both terrifying and magical. I like supernatural concepts that sit right on the dividing line between Science Fiction and the spirit world and I love it when writers try to explore a quantum or biological basis for supernatural phenomena. Not in order to disprove, but to give the fantastic a toe-hold in our everyday world. Are there any little known facts about yourself that you’d not mind sharing with our readers? In the age of social media, I don’t think there’s anything left that people don’t know about me. I’ve tweeted or posted all of it on Facebook at one time or another. Sometimes we can’t wait to get in the mood to do what’s best for ourselves. Sometimes we have to take the actions that will benefit us and have faith that improved feelings and self esteem will follow. In your opinion what elements does it take to craft a really great story? It all comes down to characters. Even if it’s a monster story, if I don’t care about the characters, I don’t care. Period. A good story is a collision of a compelling, complex character and an environmental conflict. I’m about 1/3 of the way through another supernatural horror novel set in the deep south, and right now, we’re taking a bit of a hiatus from The Dinner Party Show so that I can focus on getting ready for my book tour.